Over the last decade, there has been a significant volume of research focussed on the utilization of biodegradable polymers such as poly-l-lactide-acid (PLLA) for applications associated with cardiovascular disease. More specifically, there has been an emphasis on upgrading current clinical shortfalls experienced with conventional bare metal stents and drug eluting stents. One such approach, the adaption of fully formed polymeric stents has led to a small number of products being commercialized. Unfortunately, these products are still in their market infancy, meaning there is a clear non-occurrence of long term data which can support their mechanical performance in vivo. Moreover, the load carry capacity and other mechanical properties essential to a fully optimized polymeric stent are difficult, timely and costly to establish. With the aim of compiling rapid and representative performance data for specific stent geometries, materials and designs, in addition to reducing experimental timeframes, Computational bench testing via finite element analysis (FEA) offers itself as a very powerful tool. On this basis, the research presented in this paper is concentrated on the finite element simulation of the mechanical performance of PLLA, which is a fully biodegradable polymer, in the stent application, using a non-linear viscous material model. 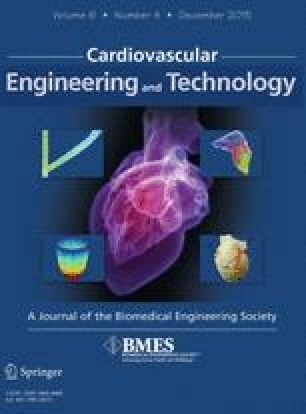 Three physical stent geometries, typically used for fully polymeric stents, are selected, and a comparative study is performed in relation to their short-term mechanical performance, with the aid of experimental data. From the simulated output results, an informed understanding can be established in relation to radial strength, flexibility and longitudinal resistance, that can be compared with conventional permanent metal stent functionality, and the results show that it is indeed possible to generate a PLLA stent with comparable and sufficient mechanical performance. The paper also demonstrates the attractiveness of FEA as a tool for establishing fundamental mechanical characteristics of polymeric stent performance. The online version of this article (doi: 10.1007/s13239-015-0235-9) contains supplementary material, which is available to authorized users. The authors like to acknowledge the funding of this project through a Hardiman Scholarship at NUI Galway. Author Anna C. Bobel, Author Susana Petisco, Author Jose R. Sarasua Author Wenxin Wang and Author Peter E. McHugh declare that they have no conflict of interest. No human and animal studies were carried out by the authors for this article. Anonymous: Datasheet 04. In: Physical Properties. www.purac.com, 2010.